Lens Crazed » Blog Archive » Flora Hokkaido! Whenever I go traveling, I will make certain that I have at least a couple of good photos taken of various plants in the area. 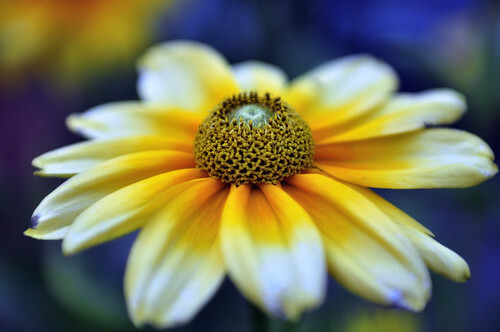 Apart from the different colors of the flowers that make them excellent photography subjects, the plants tell a story about the seasons of the year, the general weather conditions at the time of travel and even the geographical nature of the country. Sometimes, when I am patient and have the time to spare, or just plain lucky, I get to shoot insects or bugs while taking shots of the plants. When I was in Hokkaido with Warden, it was already mid-late August. 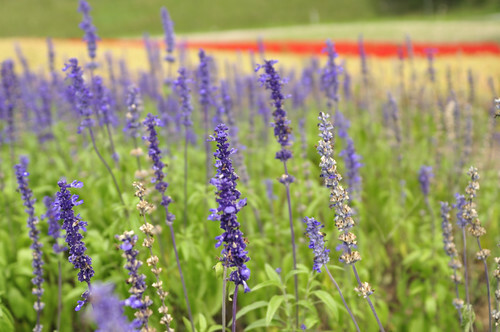 Although that meant the weather was more forgiving, unfortunately that also meant we did not get to see the endless fields of lavender that Hokkaido is so well known for. What we did managed to catch, were a handful of open fields with sunflowers seemingly stretched endlessly to the horizon. When you are cruising along the country road and suddenly presented with such a sight, it is almost impossible to contain your excitement. That’s just not something you will experience in a city like Singapore. Hokkaido is home to different colorful and beautiful plants (and animals) of all kinds, and for that I am glad we drove around on our own instead of following a tour group. 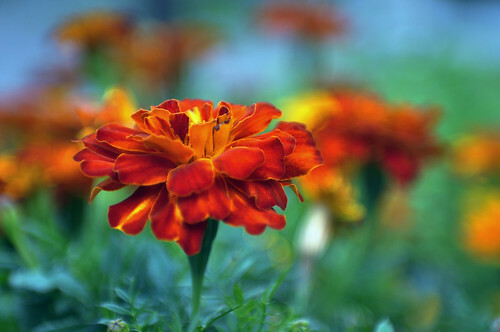 Warden commented on various occasions that the best photographs I take are the shots of flowers. I am not sure if that is a compliment, but if her words are anything to go by, I sure hope I can improve upon them soon! 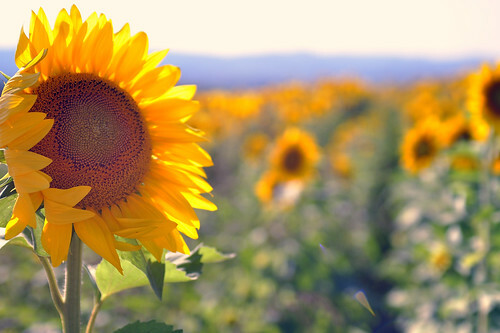 Regardless, this last picture of the sunflower in the breeze is Warden’s favorite, for the simple reason that it reminds her of how it felt to be standing there under the sun amongst the flowers in lovely Hokkaido.